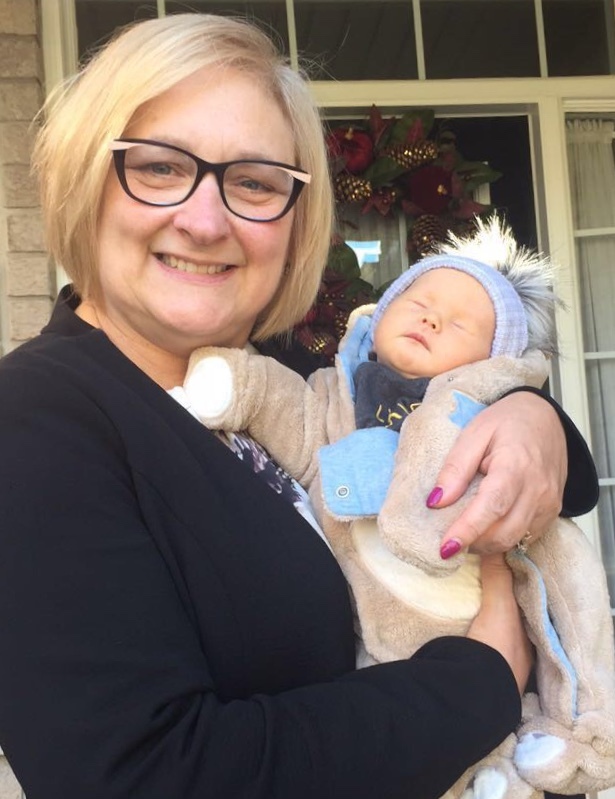 Councillor Brenda Chivers is currently in Canada to meet the latest addition to her family. Her new grandson Aodhán came into the world on October 25th weighing 7lb 11oz. His mum Colleen is Councillor Chivers’ youngest child, making it an extra-special occasion for the family. As a grandmother of five, Councillor Chivers has selected TinyLife as the official good cause of her Mayoral term. Her family has personal experience of the support provided by the premature and vulnerable baby charity and a number of fundraising ventures have been planned to raise vital funds and awareness. This includes a charity spinathon at Dungiven Sports Centre on Saturday 1st December from 9am -5pm. Anyone who would like to take part or make a donation should contact brian@tinylife.org.uk or ring Richard on 07870988138. The Mayor of Causeway Coast and Glens Borough Council Councillor Brenda Chivers pictured with her new grandson Aodhán.